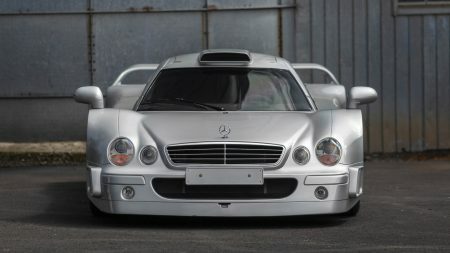 A Mercedes-Benz AMG CLK GTR might join the exclusive club of the most expensive cars with the there-pointed star ever auctioned. The car is expected to fetch as much as $5.25 million next month, at the RM Sotheby’s auction in Monterey. This is one of the 25 passenger cars that were necessary to be built for the homologation of the FIA GT racing series in the late 90s. A street-legal monster that ensured the entry in the FIA GT1 race. 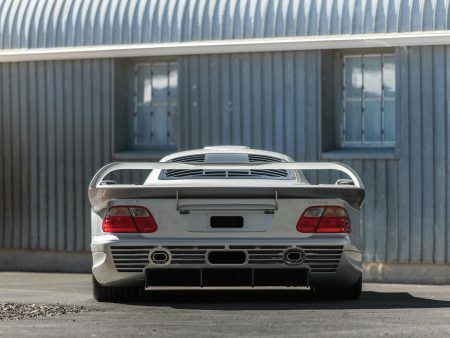 And so the Mercedes-Benz AMG CLK GTR saw the light of day. 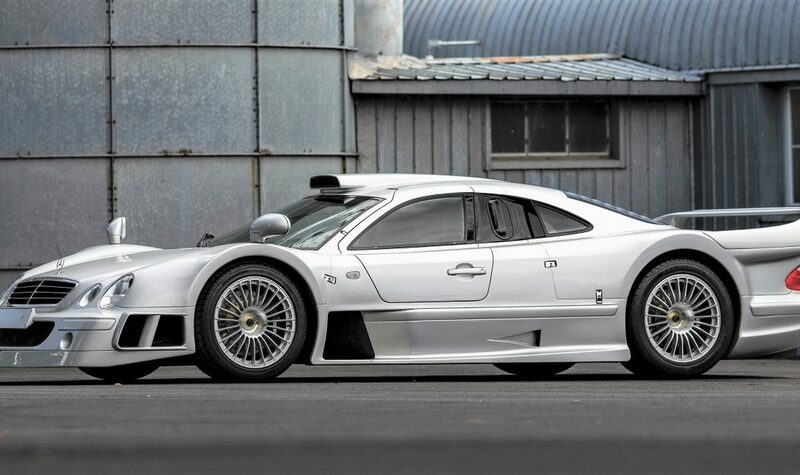 The RM Sotheby’s is offering the exclusive beast at this year’s auction in Monterey. The car, chassis 09/25, was the first to be sold in Germany, exported to Hong Kong and subsequently arriving in the United States under the Federal Show and Display Regulations, that prohibit the car to be used for public show-type events. With only 900 miles on the odometer and retaining the original paint and mechanics, it can go as a classic. Original AMG SPS tool chest, original owner’s manuals and service booklets, spare keys and a first aid kit, along with the factory-fitted air compressor, safety triangle and torque wrench for replacing flat tires accompany the car. RM Sotheby’s expects the Mercedes-AMG CLK GTR to fetch somewhere between $4.25 and $5.25 million, next month, when it goes under hammer at the auction that is set to take place in Monterey, on August 25th.